Learn more about our services and oral hygiene by viewing the below videos! When you're looking for a dentist in the Port Clinton, OH area trust the experienced and friendly staff of 2 Turners Family Dentistry, LTD. Welcome to new owners Doctor Thomas K. Turner and Doctor Anthony C. Turner. 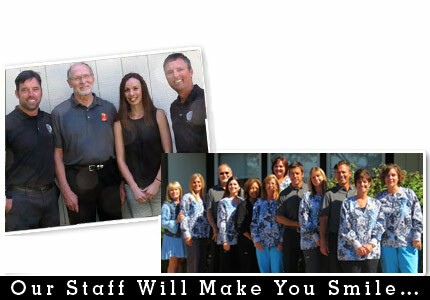 Doctor Greunke has been serving the dental needs of Port Clinton area families and individuals since 1974. The doctor has continued to add new skills and new technology as dental science has evolved. Every one of our registered dental hygienists, certified dental radiographers, and chair-side assistants are trained in the latest in dental advancements, to deliver the best care to you. Our friendly dental staff have been selected for their caring attitude, highly qualified technical skills and commitment to your improved dental health. This dental office is committed to your improved health. Our main emphasis is on prevention. Preventing disease is less costly and more rewarding than correcting problems as they occur. Good health is no accident. It is the result of good habits, proper nutrition and regular professional care. today at 419-734-5574 to schedule an appointment or ask about our services. WE WELCOME NEW PATIENTS! We have payment plans through Care Credit for qualified patients that allow up to 12 months interest free. Major Credit Cards are accepted.